your bank accounts and property. ethical Tax Lawyers who will vigorously defend your property and your rights. need to speak with a good Tax Lawyer. 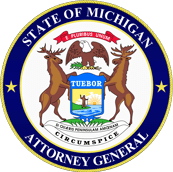 The IRS and the state of Michigan do not even have to go to court to freeze your bank accounts, file tax liens, garnish your wages or seize your property. Learn how to fight them to win. Are you behind on filing you returns? Before the government takes irrevocable action, call us to put yourself right with the IRS. You may even be eligible for non-collectible status. Last year, 12 million faced the terror of an IRS audit. See how we can help to avoid criminal prosecution and minimize or completely avoid. Our experienced attorneys successfully negotiate with the IRS every business day. If you haven’t kept up on the changing requirements for reporting your foreign back accounts, you could find yourself subject to penalties that exceed the money in your bank accounts. Find out what you can do. Ayar Law’s Detroit tax attorneys have dedicated and honed their legal skills to focus specifically on tax law – solving tax problems is all we do! No matter if you have business or individual tax problems, our tax lawyers are ready to solve your tax problem. If you are behind on your taxes and facing wage garnishment, a bank levy, tax lien, or if you going through a tax audit, or have any other state or IRS tax problem, our Detroit tax lawyers have you covered. The tax lawyers at Ayar Law have helped thousands of people from Detroit and all over Michigan solve their tax problems. We can help you, too – call us today!